Looking to measure your heart rate? Now you don’t need a special heart rate monitor device to measure your pulse. Simply turn your mobile phone into a Heart Rate Monitor by using device’s camera flash and measure your heart rate anywhere anytime. – Easy to use with intuitive design. – Measure your heart rate with your phone camera. – Unlimited hear rate measurement. 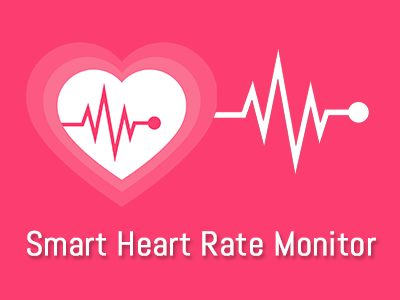 – Clean and intuitive design to measure your heart rate easily. Provide live pulse measurement data in graph along with the result. – Playing nice sound while measuring the heart rate with heart beat measurement. – Save history of pulse data in chronological order with heart rate, date & time. – Along with the heart rate measurement it stores the feeling and measurement type. – Different measurement types: maximum HR, resting HR, pre & post workout HR. – Built in user guide to provide info about how to use the app. – Very useful application for the sports persons and for fitness trainer. – Just cover the phone’s camera with your finger and stay still during the measurement. – Place your index finger on the camera lens and press lightly on the back of your phone. – Please make sure you put your finger steadily when measuring your heart rate. – No need to give more force with the finger to the phone lens otherwise it will not give correct result. – This app is for recreational and fitness use only and this is not a medical product and should not be used for medical diagnosis as it is not a medical product. – In some devices, heart rate monitor may make the LED flash very hot. – It is also working without Flashlight but make sure you have enough light when measuring heart rate.